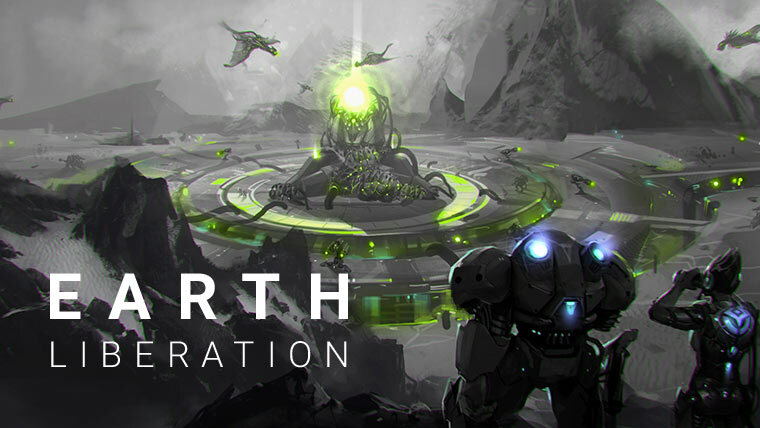 Earth Liberation aims to recapture the essence of old-school fast-paced RTS games rather than revolutionize the genre. A game that looks like StarCraft but plays more like Command & Conquer, with no resource gathering? Sign me in, I will join the front! A reason why RTS games are a niche genre is because everything is so complicated. Want to produce a warrior? You need a farm. Want to produce a marine? You need to harvest shiny crops. Want your artillery units to shoot long range? You need to press a button to deploy them. There is just too much clicking between the plan in your mind and the effect on the screen. Earth Liberation wants to do away with all the hassle, and streamline the Real Time Strategy experience to focus on combat. While I can easily get behind removing a lot of the fluff, in order to have a perfect RTS experience good controls are absolutely mandatory and should be in line with Earth Liberation’s aim to provide good combat. Sadly, this is not the case here. Grouping units on a numerical key (1, 2, 3, etc) is not yet possible, giving rally points to unit factories is not yet possible, setting up patrol paths is not yet possible, and finally chaining orders with SHIFT is not yet possible. At least double clicking on a unit selects all the units of the same type that are present on the screen, and there is the attack move by pressing A while clicking with the mouse. Still, that is not enough. Due to the lack of grouping, micro-managing is severely impaired and the fights are a clunky affair. Hopefully these control issues will be fixed along the line, as the game is in its infancy. Despite knowing that it is in Early Access, I was surprised by how bare-bones it still is. I would qualify the state of the game as a prototype at this point. You really need to be aware of that if you want to buy it so soon, as there is not much to do there just yet. Only a handful of missions, no skirmish and no multi-player even if the developers are talking about implementing it. 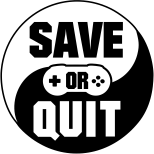 The good point about this is that it is very likely that the community can provide input early on and help the Russian development duo of Porovoz Studios to keep on track. The few missions I have played show that the engine is running smoothly, providing cute 3D graphics after instantaneous loading screens. There are already three environments to play in, including canyon and snow. The story takes place on Earth, it has been invaded by a reptile-like Alien race called Khraster and thus the task of the player is to retake the planet bit by bit. There are Alien bases full of turrets to destroy, and the challenge comes from slowly eating through the turrets while defending against very frequent waves of enemy troops produced in the Alien factories. Human factories and defenses can be built on predetermined spots, which really streamlines base management. Similarly, no need to gather resources as money slowly ticks in or can be found in crates on the map. There is no fog of war either, so all the player has to do is focus on the fighting. Enemy waves are very frequent so usually when a mission starts the player quickly buys defenses and places troops, until slowly having an army big enough to push back the Alien scum. Not very dynamic. There are different kinds of units with different range and firepower, and also a few heroes: powerful units that can regenerate their health. Combined arms tactics are necessary to deal with the different enemy threats (infantry, air and buildings), however it felt that each mission was played too similarly from the next; fighting against a swarming enemy until you can overcome the odds. This was the core game mechanic of the excellent game Infested Planet, but Infested Planet spiced things up with random mutations and a very flexible tech tree. In any case, we are far from the Westwood and Blizzard games that manage to make missions stand out from each other. So far, Earth Liberation is really too young to tell if it will be a good game or not. I like the game’s intent to get straight into the action, however a whole lot is still missing. The combined arms core of the fights is already working, but the controls are not ready to provide a good combat experience. Should you get this game? I think this is way too soon, there is not much to do yet and the developers still have a lot to prove.